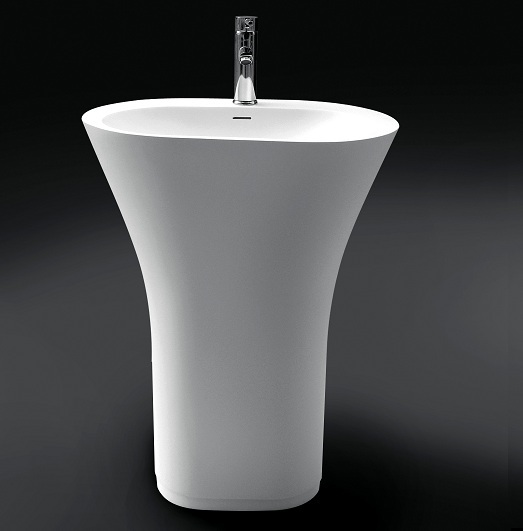 Every bathroom needs a reliable and equally beautiful wash basin. At ACS Designer Bathrooms, we stock a variety of styles to accommodate different decors and themes, with different price options to suit budgets big and small. 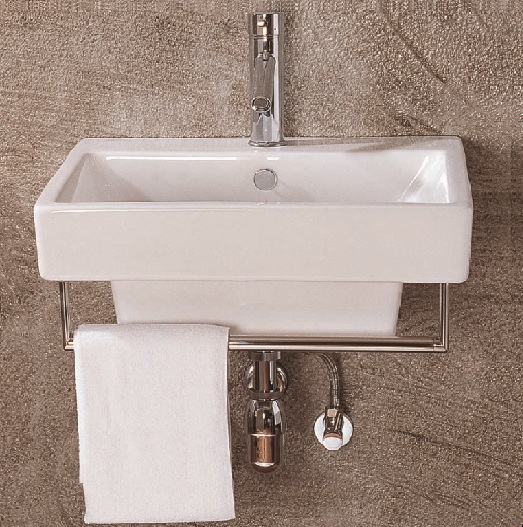 From freestanding hand wash basins to bench- and wall-mounted ones, you can find anything you need in our extensive collection—and bring some added functionality and charm to your bathroom. When shopping for a vanity basin, one of the questions that almost always crops up is whether to choose an angular or rounded model. The answer? It depends—not as much on personal preference as on the size of your bathroom, the amount of available space, and also the theme you are trying to recreate. There are many good reasons for choosing an angular bathroom basin over a rounded one. In the first place, they are easier to fit flat against a wall and are, therefore, great for saving space in a smaller bathroom. Their minimalistic aesthetic also makes them more suitable for adding some striking character to your layout with other features, not to mention there is usually a lot of space around the taps to accommodate all of your bathroom essentials. A round basin can look very stylish in pretty much any bathroom décor. They are usually indicated for larger bathrooms as they cannot be wall mounted, thus taking up a greater chunk of your available bathroom space. They look best when positioned close by a shower cabin—the characteristically smooth, sweeping edges of the basin contrast beautifully with the sharp lines and corners of the cabin. If you’re planning to update your bathroom with a wall basin, an elegant rounded wash basin, or any other basin designs, call ACS Designer Bathrooms today. Alternatively, you can always pop in one of our Sydney, Melbourne, or Queensland showrooms to get a glimpse of our product offering and make a more informed decision.